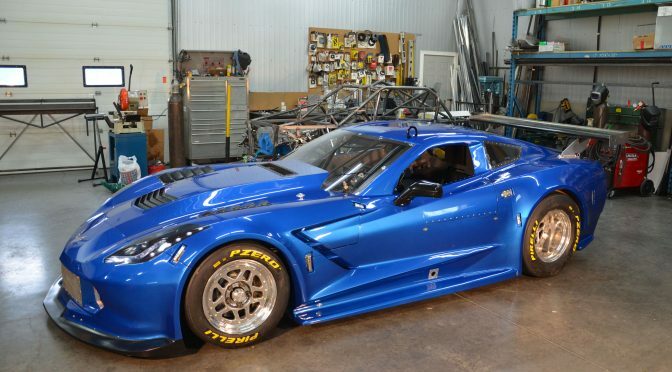 With a serial number MP-002 (we are currently building MP-014), this Corvette was the very first race car designed and built by Blaise Csida of BC Race Cars in 2004 for the SCCA Trans-Am series. After a colourful history and a number of owners, Jed Copham of Brainerd International Raceway purchased the vehicle. He quickly realized it was no longer competitive, and in desperate need of some TLC. Jed arranged to ship the car back to the “factory”, where the BCR team would undertake the 6 month project to completely refurbish the car. Strip it to the bare chassis, sand blast it, evaluate every part and come up with a plan. 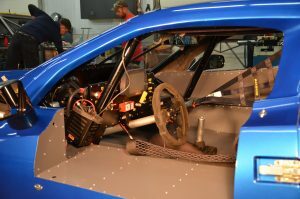 After extensive chassis modifications, almost every component was rebuilt or replaced. 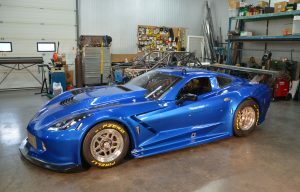 A new carbon fiber C7 Corvette body was mounted. Exhaust, suspension, interior, rear housing, accessories, dash were all addressed. We were proud to deliver this gorgeous machine to Jed, basically a brand new car. And significantly lighter as well! We hope he enjoys driving it, and we look forward to supporting him in the Trans-Am series.